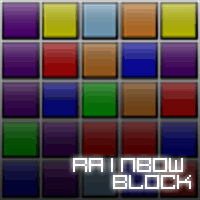 Clean more than 2 blocks to score points faster,and use special blocks to wipe out a lot of blocks at once. This game includes a custom mode that can let you change the rule of the game,and 3 block sets to choose with. Move mouse to move the block,and click inside the game area to drop the block. Press Enter to add a line of blocks from the bottom,and “P” key to pause the game. You can change the control method and key mapping in the option menu. Hi, doc! We have a new case – virus infection. You need to try to heal patient in this classic time-run puzzle!